Convolutional neural networks (CNNs) have had great success with regard to the object classification problem. For character classification, we found that training and testing using accurately segmented character regions with CNNs resulted in higher accuracy than when roughly segmented regions were used. Therefore, we expect to extract complete character regions from scene images. Text in natural scene images has an obvious contrast with its attachments. Many methods attempt to extract characters through different segmentation techniques. However, for blurred, occluded, and complex background cases, those methods may result in adjoined or over segmented characters. In this paper, we propose a scene word recognition model that integrates words from small pieces to entire after-cluster-based segmentation. The segmented connected components are classified as four types: background, individual character proposals, adjoined characters, and stroke proposals. Individual character proposals are directly inputted to a CNN that is trained using accurately segmented character images. The sliding window strategy is applied to adjoined character regions. Stroke proposals are considered as fragments of entire characters whose locations are estimated by a stroke spatial distribution system. Then, the estimated characters from adjoined characters and stroke proposals are classified by a CNN that is trained on roughly segmented character images. Finally, a lexicon-driven integration method is performed to obtain the final word recognition results. 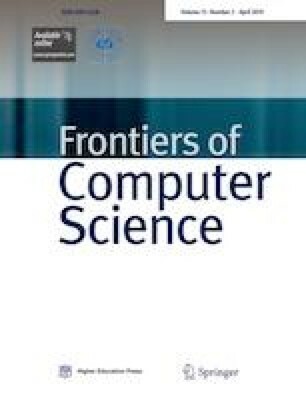 Compared to other word recognition methods, our method achieves a comparable performance on Street View Text and the ICDAR 2003 and ICDAR 2013 benchmark databases. Moreover, our method can deal with recognizing text images of occlusion and improperly segmented text images. Anna Zhu received the BS and PhD degrees from Huazhong University of Science and Technology, China in 2011 and 2016, respectively. She was once a research fellow at the Human Interface Laboratory, Kyushu University, Japan. Her research interests include text detection, image processing, pattern recognition, and machine learning. Seiichi Uchida received the BS, MS, and PhD degrees from Kyushu University, Japan in 1990, 1992, and 1999, respectively. From 1992 to 1996, he was with SECOM Co., Ltd., Japan. Currently, he is a professor at Kyushu University. His research interests include pattern recognition and image processing. Dr. Uchida is a member of IEEE and IPSJ. Supplementary material is available for this article at https://doi.org/10.1007/s11704-017-6420-2 and is accessible for authorized users. This work was supported in part by the National Natural Science Foundation of China (Grant No. 61703316), and in part by the Human Interface Lab of Kyushu University, Japan. Supplementary material, approximately 276 KB.